Although I don’t have a GPS system of any type — nor do I feel the need to have one — atleast they’re finally making them cool! 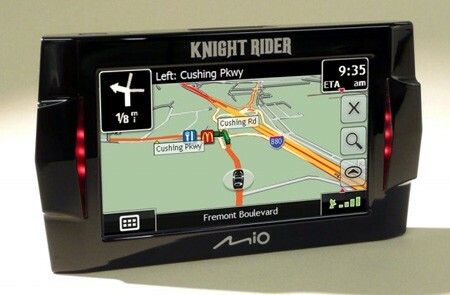 Autoblog reported recently on the upcoming Mio “Knight Rider” GPS system. Is the sleek black plastic not enough for you? How about the undulating red lights at the sides? Need more convincing still?? Ok, then… the built-in KITT voice (from Knight Rider, naturally) oughta do it. It’s the real deal, folks. The same actor who voiced KITT in the 80s TV show has performed the voice work for this GPS!